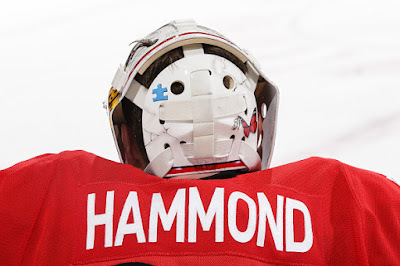 Hammond debuted a new mask in January 2016. 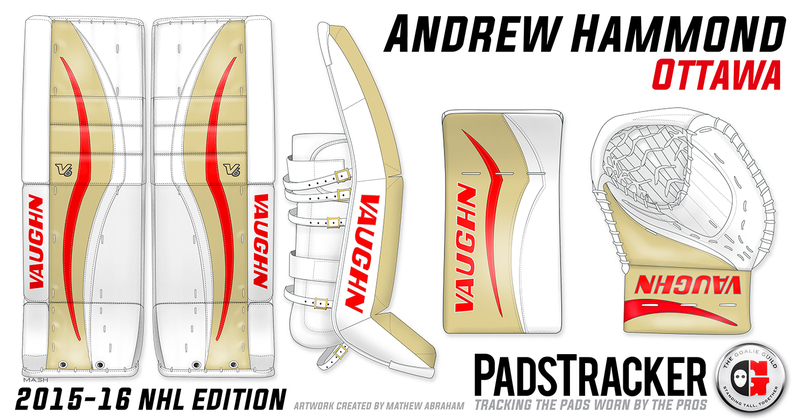 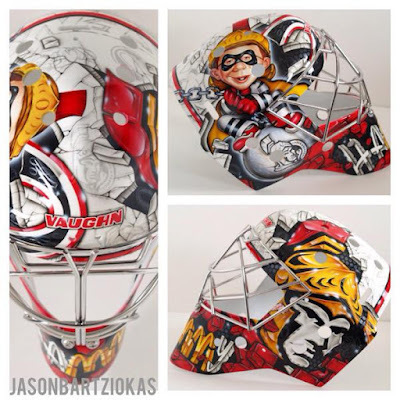 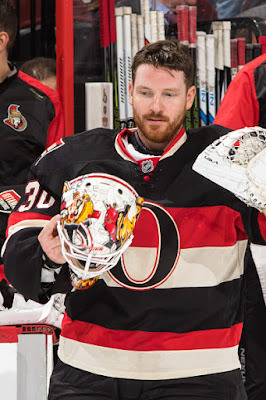 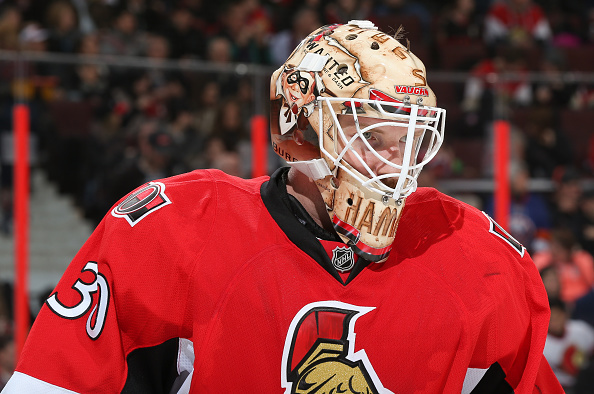 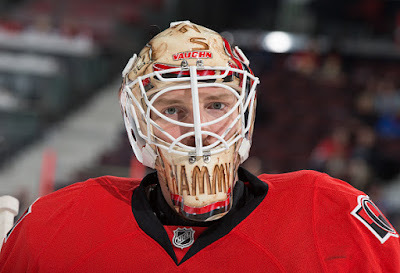 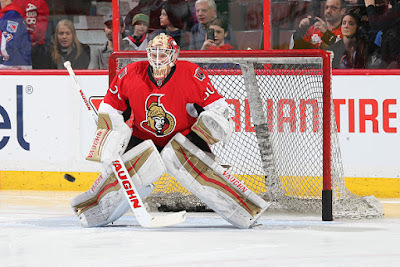 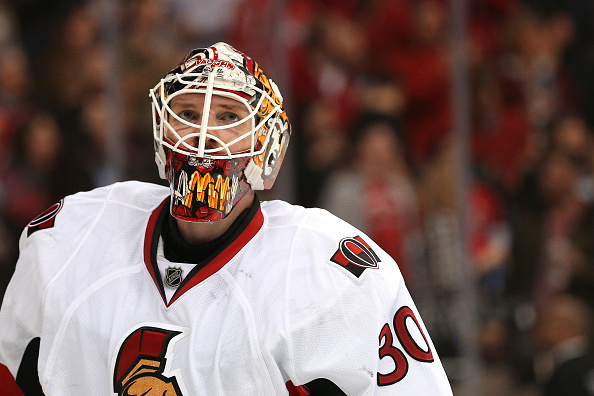 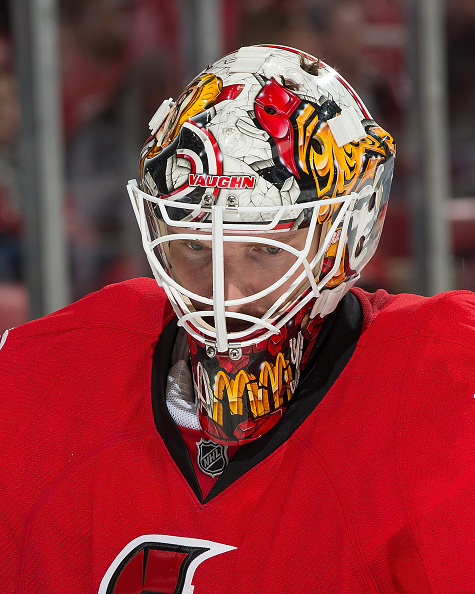 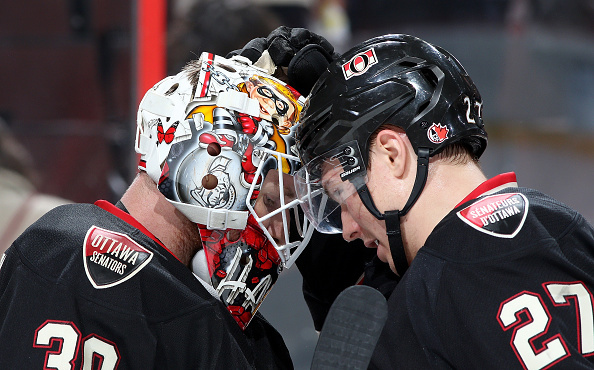 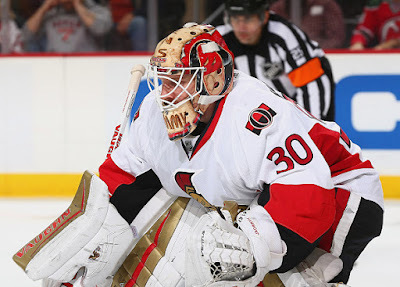 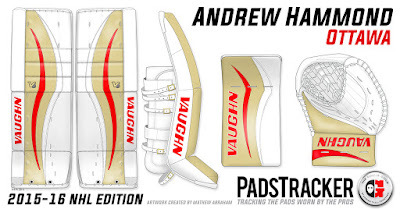 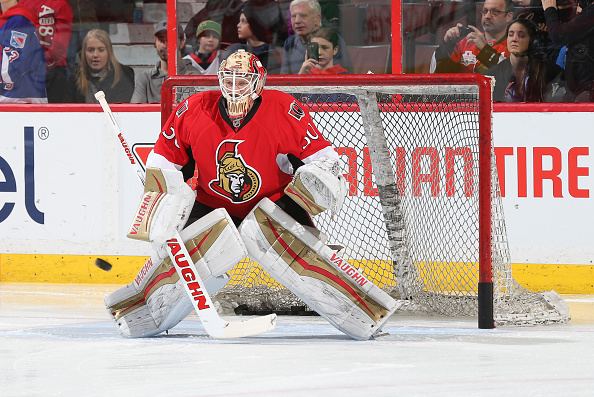 Alfred E. Neuman is back in a starring role as the Hamburglar on Andrew Hammond’s new Ottawa Senators mask, but this time he’s crashing the crease like Miley Cyrus from her Wrecking Ball video. 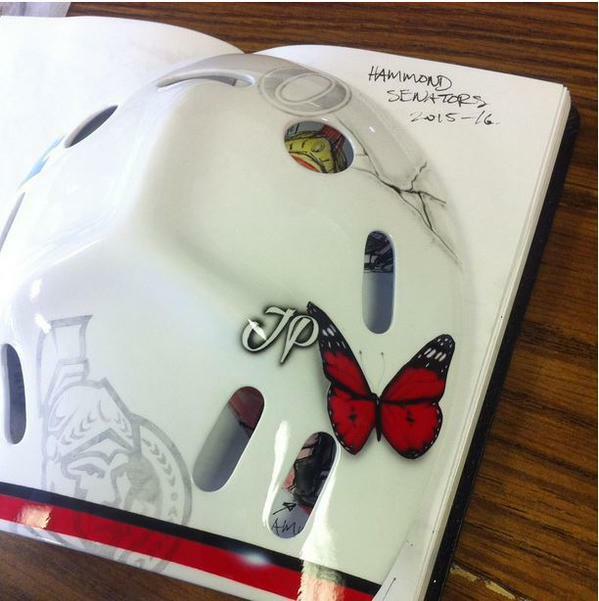 The backplate pays tribute to 15-year-old Jonathan Pitre with a butterfly and the initials "JP."